Paintball, a popular game today, was originally launched in the 1980s. The concept of the game is simple: players are divided into teams and they have to eliminate their opponents by 'shooting' them with 'paintballs', which are in the form of pellets sometimes and made from oil and gelatin and are filled with dye. The paintballs are propelled or 'shot' using a 'paintball marker', a gun-like device, with compressed air or carbon dioxide. Though initially launched as a fun activity among friends, paintball is also practiced professionally, with major tournaments and registered teams taking part in it. Paintball is usually played in a combat-like setting, where the terrain varies from zone to zone. Players use the different obstacles and items for cover. The game can be played either outdoors or indoors. Additions to the game can include capturing a flag, a restriction on the number of paintballs fired, and restricted zones. Sometimes, the game involves a hunt of sorts, where players have to find an item in the playing zone. 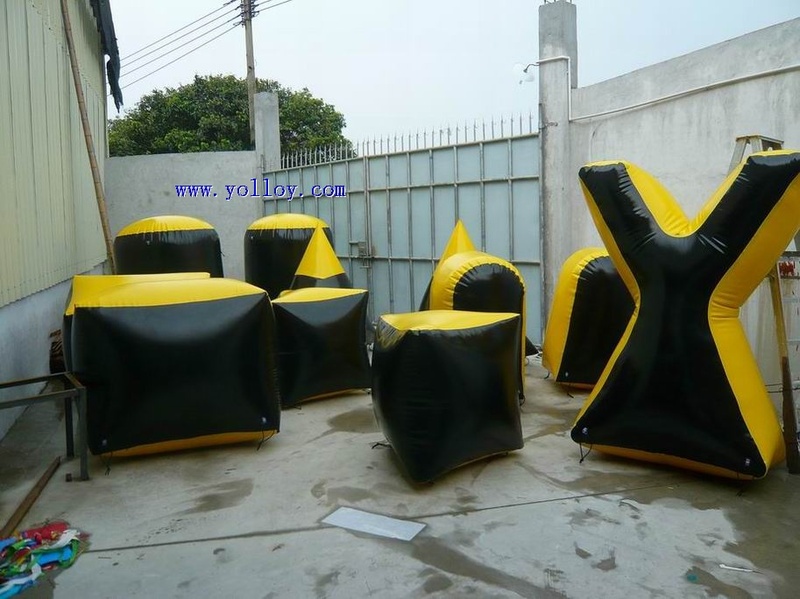 47 pcs inflatable tactical air bunkers in different colors, etc. 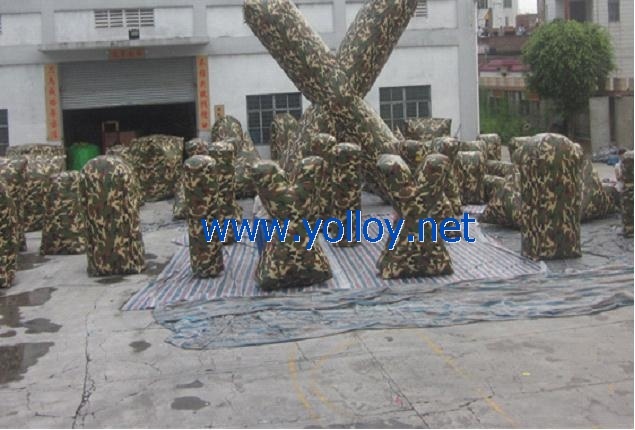 Recreate the experience of a real war using this paintball bunker. The items in this bunker are designed with a military theme, including military colors. It makes for a great themed game and adds to the excitement. As the title suggests, this paintball bunker is purple, which means it's ideal for people who like the color purple. They come in a range of sizes and shapes. The only catch is the size of the bunker, which is big, and needs considerable space. 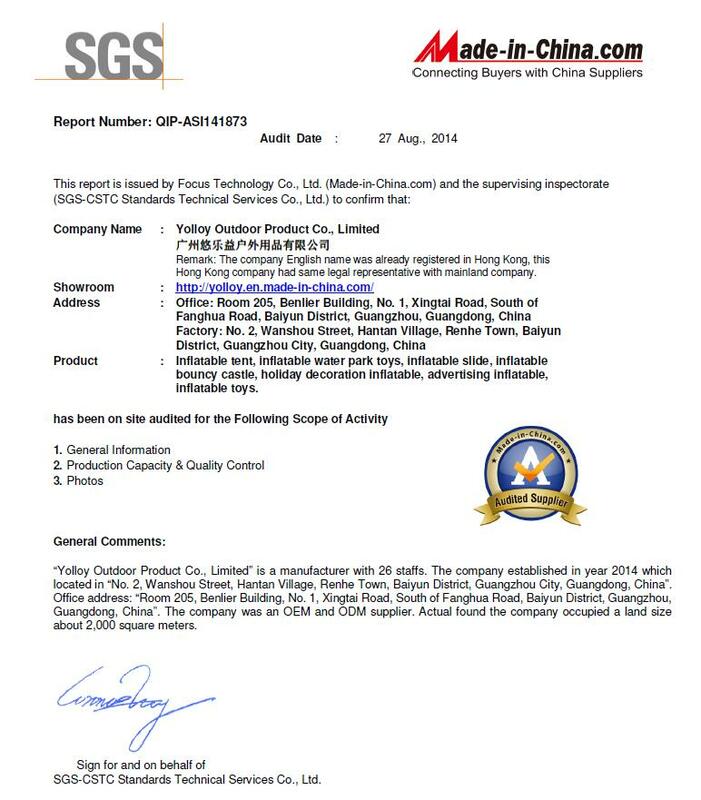 Hence, it may be difficult to use at home, making it more suitable for commercial settings. 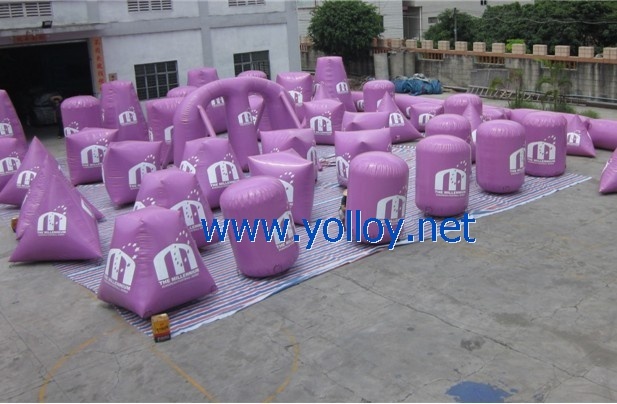 This inflatable paintball bunker allows you to customize the paintball experience to your taste and preferences. There is a total of 34 items in the package, from oil barrels to the bunker itself, to a tree log. It can easily be used for a game between up to 7 players. If you want to enjoy a game of paintball in a small space with up to 5 people, this arena is perfect. It comes in a variety of shapes and sizes, including large and brick. It can easily be accommodated in small lawns and backyards, without hassle. In addition to these bunkers, you also must see the giant inflatable paintball arena. 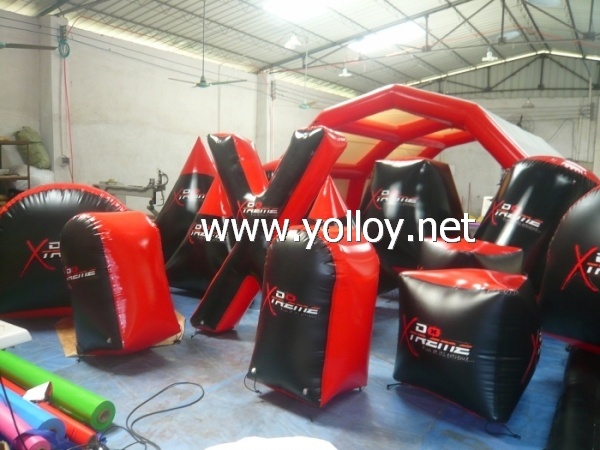 To see all these inflatable paintball products, visit this web page: http://www.yolloy.net/Inflatable-Paintball-Bunkers/.